DIABLO 2 BATTLE.NET This product is a digital code, once bought, the code will be sent to your email or can be downloaded directly from your screen. These codes are original and produced by Origin. These codes have no expiry date. Diablo, the Lord of Terror, has fallen to a brave hero beneath the church of Tristram. Now that hero is gone, replaced by a Dark Wanderer who roams the world of Sanctuary leaving death and destruction in his wake. As a hero of humanity, you must face the minions of Diablo’s evil brothers and stop the Dark Wanderer before he fulfills his terrible destiny. DIABLO 2 BATTLE.NET– is available right here at livecards.eu for the best price. The standard price for DIABLO 2 BATTLE.NET– will vary depending which store you purchase it from. Our DIABLO 2 BATTLE.NET– codes are 100% legit (you can check our FAQs) and some of the Cheapest DIABLO 2 BATTLE.NET– codes available in the market. Our prices are low because we buy in bulk allowing us to offer discounted DIABLO 2 BATTLE.NET– codes. As you grow in power, you can take on the minions of Diablo in Nightmare Mode for greater challenge and greater rewards. Grow strong enough and enter Hell Mode, where your foes become truly fearsome, but the rewards are epic! Order our Origin PC Key today to get access to Diablo 2 and digitally download it on Origin for a cheap low price that no other Key website can compare to. How to buy Diablo 2 PC? 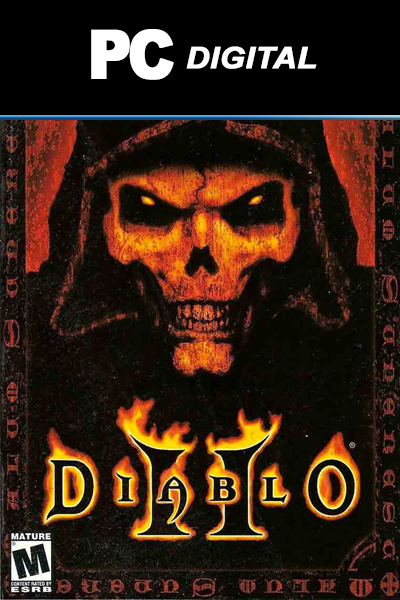 Buying Diablo 2 PC from Livecards.eu is as easy as 1 2 3! Simply fill in your email address, select a payment method and complete the payment! We have some of the cheapest Diablo 2 PC on the market.